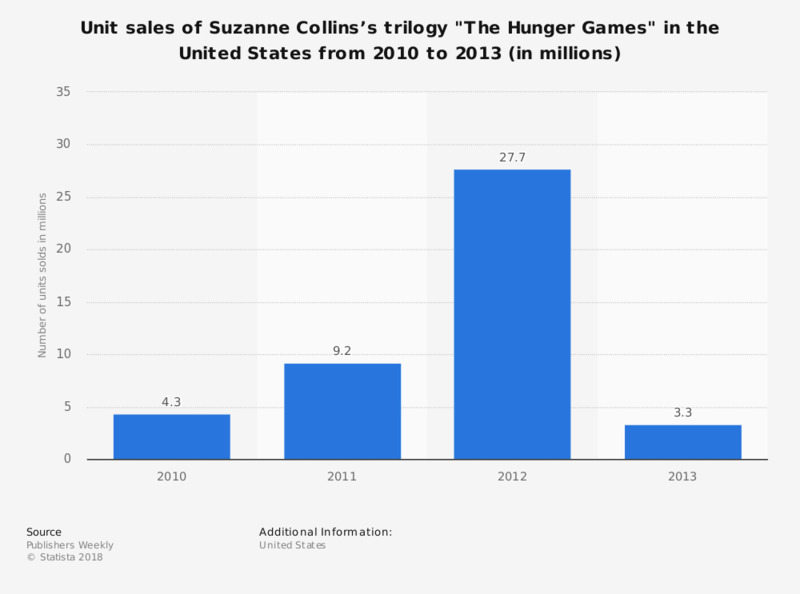 The timeline shows data on unit sales of Suzanne Collins’s trilogy 'The Hunger Games' in the United States from 2010 to 2013. In 2010, the books sold 4.3 million copies. Region is presumed. Firgures for the period 2010 to 2012 come from an earlier Publishers Weekly article.